In the summer of 1968, as they were recording the songs that would appear on the “White Album,” the Beatles invited famed war photographer Don McCullin to photograph them. 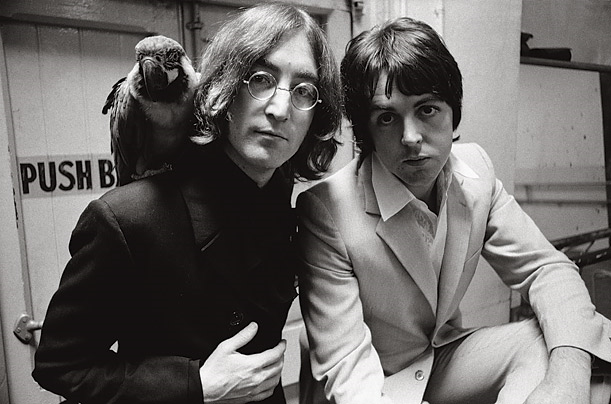 The purpose of the shoot was to provide LIFE magazine with an image it could use on its cover, but McCullin and the band did far more than what the job required, as John Lennon, Paul McCartney, George Harrison and Ringo Starr posed and goofed around in a variety of locations. The shoot has become known in Beatles lore as the “Mad Day Out.” A Day in the Life of the Beatles, published by Rizzoli, collects 100 images from that day.